How can we work with poems on a daily basis? Working with poems is an integral part of a balanced literacy program. Both in German and English school, we work with poems on a daily basis using the following format based on Jill Eggleton's work in Lighting the Literacy Fire. Time Slot: Introduction to the reading block before grouping for guided reading for shared book. At the end of the writing block or other appropriate time for the poem; but not directly before or after using a shared book. Introduce the poem or story. Use the terminology title, author, illustrator, and illustrations. Get the children to think critically about it. Read the poem, encouraging the children to join. Deal with these naturally as the arise in the reading. initial letter sounds, blends or diagraphs, rhyming words, contractions, compound words, abbreviations, words with prefixes and suffixes, singular/plural, antonyms, homonyms, synonyms, similes, etc. Story – encourage the children to think about the plot, the characters, the scene, and the theme. Retell the story using drama or role-play or respond to the text in a written or visual way. Present the children’s responses either by making another book or using as a wall display. These now become part of the independent reading resource. Poem – encourage the children to say the poem and move in some way, e.g., clapping, stamping, thumping. Provide a blank book for each child. Paste a copy of the focus poem into the book, and allow the children to visually respond to the message of the poem. If possible, allow children to take home their poetry book to share with parents. Note: The first things to enjoy in poetry are the sounds of the words and the message. Begin each poetry session with a ‘warm up’ using four or five poems that the class have already been exposed to. Introduce the poem. Discuss the title, author and illustrations—build anticipation. Read the poem using good voice characterizations. At the conclusion of the reading, ask students a variety of different question types to stimulate discussion. Get the students to generate questions and use the message in poem to make connections. 1. Who were the characters? What can you tell me about them? Where did the poem take place? What was the problem? Did the problem get solved? How? 2. What did the …. Do…? How do you know that…? Do you think…? Why? 3. Ask one student to pretend to be either … or …. Ask the other students: What question can you ask …? You can use—How, why, when, where, what, who? 4. The characters were… ? Have you ever been/felt/acted like the character? What was it like? Why did it happen? Use the Day 3 suggestions to focus student attention on the print conventions and punctuation that appear in the story. Reinforce how these visual clues will help them read with expression. Then have the students join in as you reread the story. E.g. Make a circle around a period. Ask the students: What is this? What does it tell you to do ? (stop) Comma (take a little rest) Ellipses (pause—something else is coming) Exclamation points (read with excitement) Words in bold or other types of illustrative text. What do you notice about these words?Read the page. Use the clues to help you read well. Reread the poem together. Then use about 2 pages with to reinforce letter names; rhyming; the sounds of letters, blends, and digraphs; word families; contractions; compound words; and word ending. Whatever we are focusing on this week. Get students to move to the rhythm of the poem, e.g. clap, stamp. Try saying the poem in a different way, e.g. make up a turn for it, say it like a change or a rap. Paste a copy of the poem into each student’s poetry book (blank pages book). Encourage the students to respond in some visual way to the poem. Would you recommend teaching students one thing at a time, or a variety of things at a time? 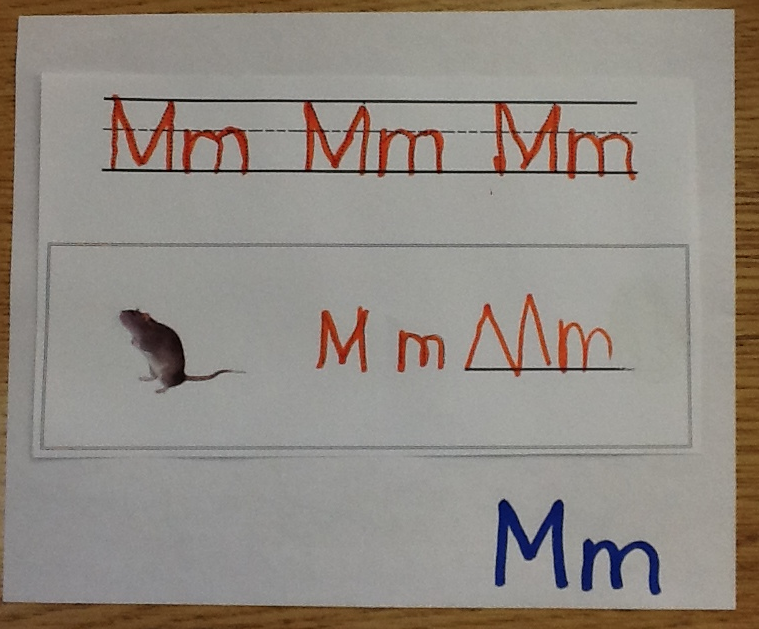 Let's say I'm working on Phonemic Awareness - is it better to focus on one section at a time, or more? Essentially, if you use Day 4 to work on a phonemic awareness skill such as syllables with your big book or poem, then I would focus on that skill every week till they had it and periodically keep reviewing it as necessary. Technically speaking, I think it's almost impossible to teach only one thing at a time so the only time I would focus on only one concept is when I introduce it. After that it would be a review along with other things that they're learning. It would probably depend on the students and the concept taught. And, teaching opportunities arise all the time as teachers work with students. Also, if you're focusing on phonemic awareness, you're targeting several phonemic awareness skills just by immersing students in language. You're saying sounds slowly in words in writing but you could be working on syllables with your poem/big book on the day you focus on phonemic awareness. Sometimes rhyming, or some other early literacy skill, will take a while for some kids to develop. If they seem to simply need more exposure to language, such as when they're not hearing rhymes, teach another skill and then come back to rhyming. A quick question about the Alphabet Sorts....when you make a booklet of the letters, you put them in the order the students complete the letters, not alphabetical, right? And, do you also include the line that's included right below the sort pictures where they can practice writing the letters? I'm wondering if it might be a good idea to also glue that in and then put a piece of packing tape over it so students can use dry-erase markers and practice over and over again. The alphabet booklet is actually in alphabetical order with the letters at the bottom of each page. Then, after they have completed the sort, (or after cutting out the cards, depending on what you prefer) they glue the 'header' cards into the booklet. As they're finding the page the card goes on, they can recite the alphabet, pointing to each letter in the book, up to the page the card goes on. One of the mistakes I made with my booklets was making them too short. I should have used a taller page so there would also be room for the printing practice piece. It would be an awesome idea for additional letter writing practice to put packing tape over the printing piece so students can use dry-erase markers and practice. My classes are 45 minutes long. Is Daily 5 a method that will in the end take up the complete class, or just part of it? I found a link on pinterest where a teacher explains how she got her kindergarten students started with Daily 5 - building up stamina, starting from 1 minute per 'section', student behaviors, etc. How does guided reading fit into the Daily 5? Is it part of the rotation? Daily 5 is is where students are trained to independently either read to themselves or read with a partner, or write, or listen to reading or do word work. They have a rotation or routine established in which they were trained, minutes at a time, to work independently, building up stamina as they go. Technically, you won't be doing daily 5 because you won't get all 5 done in a 45 minute class, but we still call it that. Check out The Daily 5 by by Gail Boushey and Joan Moser - it's an easy read and worth it for any classroom teacher. They go through in detail how to train your students to work independently. How does guided reading fit in? When some students are working independently on daily 5 activities, the teacher is free to teach the other students. Incidentally, the daily 5 the 'others' are doing is based on what they are doing in guided reading with you and is really a practice session. All the components, guided reading, read to self, read with a partner, writing, word work, listen to reading, fit together as a balanced whole. Can I make other concept sorts (ex. Seasons, colours, numbers, size, number of syllables)? Other concept sorts - absolutely you can do others. But you can also use the clothing sorts as seasons sorts and you should be able to use the concept sorts as colour sorts as well. You can use the concept sorts to do numbers of syllables, etc. I could add some specific syllable sorts and maybe seasons to the Teaching Guide but I believe colour sorts can be done by using the ones in the TG already. I'm sure you said this, but just to confirm - Can I use concept sorts with my kindergarten students who are not yet doing guided reading? Sorting is one of the first activities you can use with K kids and it's an important one in terms of building thinking skills. For sure use with Ks who are not doing guided reading yet. An important questions that has come up about balanced literacy is "Where do we get big books from?" and What makes a good big book?The main criteria for a quality big book is that it has repetitive rhythmical language, kind of like a poem. Kids need to have fun with the language and rhythm and repetition lets them do that. Lehrmittelboutique has several books that you can download for free and used as big books for grades K - 1. The books are not really rhythmical but they're repetitive and even though I haven't used them myself as big books, I can see the students enjoying them. Go to "Der kleine Bär und "Früher und heute" by clicking on the link. These three also could work well: "Koala, Huhn Hermine, and Elefant Ernesto". Kindersuppe has a couple of good ones but you need a paid subscription. It is worth it, though. Have you found any other ones to try? On this page, I will to post frequently asked questions about guided reading and balanced literacy.